Near Almondell Country Park which is a great place to take your dog. Bar is dog friendly. 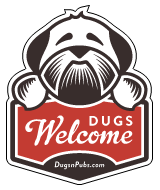 There are a total of 5 dog friendly listings in the W Lothian Pubs category. Please log in, or sign up as a member to view all listings.